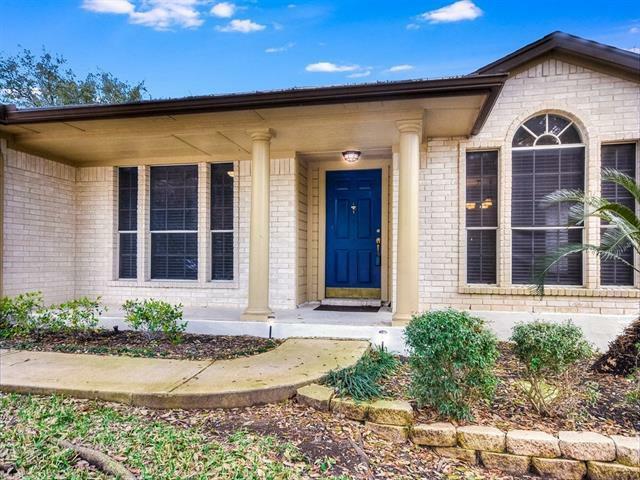 Updated 1 Story located in Northwest Austin's desirable Rattan Creek with Award-winning Round Rock Schools! Big kitchen with granite counters, island and breakfast bar opens to the living and breakfast rooms - ideal for entertaining! Split floor plan with private master suite! Short walk to neighborhood park, pool, trails and courts. Well located close to nearby restaurants, grocery, retail, Lakeline Mall and 183/Parmer Tech corridors. Minutes from future Apple campus!